The basic ideology should be very simple and chaste so that the layout is understandable to execute and then the ornamentation can be done to create a good impression on the customers. No matter what the business idea is, poor planning acts like a rust to the ship. Eventually, due to the lack of foresight and insight, the ship crumbles to the rust of failure. The same stands true for a business plan for beauty salon. The ground work needs to be pretty strong to make things right and ensure proper future of the investment. The basic ideology should be very simple and chaste so that the layout is understandable to execute and then the ornamentation can be done to create a good impression on the customers. It is necessary to understand the market first which will ensure that the first pillar of investment is secure enough. The current scenario suggests that the volume of potential customers has increased to a huge extent. The percentage of women working in the big corporations has escalated. In fact, the disposable income has gone up too. These days, men are also making a different section for grooming in their expenditure list. This is the reason why a beauty salon for men and women in an urban location will be super-hit. The wellness industry in India is witnessing better days every year. With a promising growth of almost 30%, this industry is inviting heavy investments and global brands in the indigenous soil and making a huge impact on the economy. 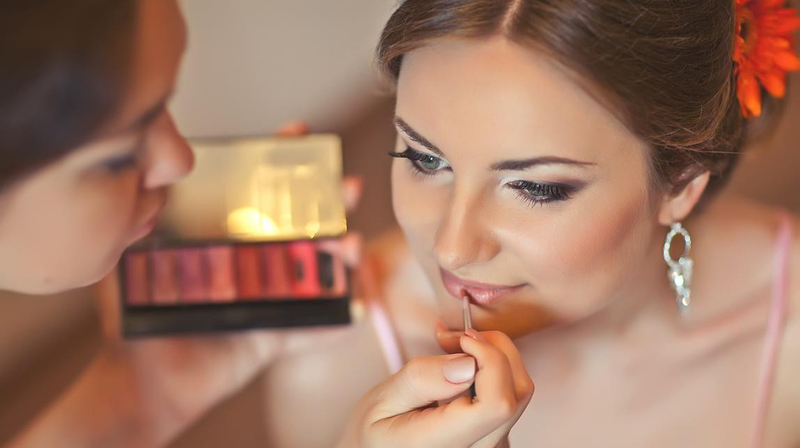 The idea for a beauty salon will be absolutely feasible even within a limited budget. The things that need to be pondered in this plan are mentioned below. A beauty salon is a type of business where the space requirement increases with time and success. A decent plan needs a space of 500 to 2000 square feet to accommodate all the utilities necessary in the salon. It will be very easy to organize such space in an urban point. The nest most important factor that will take this business to a new level is the workforce. You need a trained workforce to provide the best professional services and meet the expectation of target market. From a receptionist to nail artists, every talent will be necessary to be incorporated in the plan. You can start with few stylists and a receptionist and then take it to the next level by introducing other expertise. The makeup of the space will be very crucial to give shape to the business plan for beauty salon. The interior designing should be aesthetically perfect. The utilities and equipment should be efficient enough to give a good service. The salon equipment will vary depending on the plan and services to be offered. Using decorative designs, uniforms for the entire crew, and altering the entire space into an international ambiance will add a new flavour to the business. The business will need some initial expense to create a sensation in the market. Proper promotional methods along with signage will be added. The incorporation of external expertise like lawyers and accountants will be extra. You will need to insure your venture. Opening a current account and other financial advice will attract some expenses. It is very important to educate the entire crew to make your own brand impression to the customers. In fact, before kick-starting the plan, it is also recommended to take a course on cosmetology and get certified. It is then you can judge and hire skilled hands to enhance your business. There are innumerable mobile applications that show the local vendors regarding offers on goods and services. Enlisting the business in such applications will ensure that the service is properly exposed to the potential customers. The lucrative offers will bring the mass and make your brand popular eventually. The Business plan for beauty salon will be an effective venture if done with proper insight. The current Indian beauty industry is in high demand for good salons. The use of attractive models in the television programs and ads is also boosting the demand of the salons. Find a perfect location for the salon and do your homework. If you are a beauty expert then half of the job is already done. Be a part of the wellness revolution in India and enjoy a prospective future.